Learn To Do Your Own Facial at Home Does your skin look drab and dull? Turn it around with this step-by-step facial. To cleanse your skin thoroughly, always cleanse twice. Some ranges offer oil as a pre-cleanser, which removes make-up and grime brilliantly. Follow with a cream, milk or foam cleanser, depending on your skin type. Remember to include your neck and décolleté. 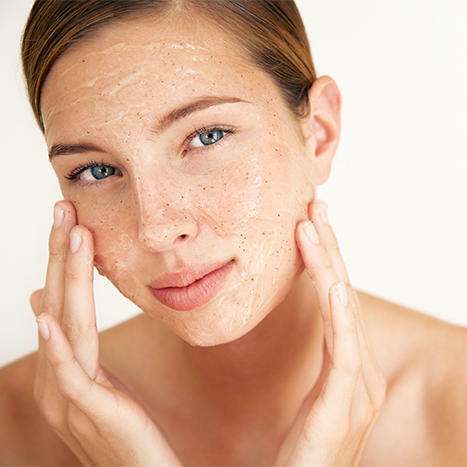 Exfoliation removes dead cells so your skin looks more radiant and other products can penetrate more effectively. Choose an exfoliator that suits your skin type: granular if it’s normal, cream if it’s delicate, chemical if it’s sensitive, problematic, or enzymatic, which can be used on most skin types. Soak a face cloth in warm water, squeeze out excess and hold it over skin to boost circulation and dilate pores. Wipe off product residue. Follow with a facial massage, unless your skin is oily. Gently work a rich cream into skin with little round upward movements. Finally, apply serum and day or night cream, as well as your eye cream or gel. If it’s daytime, don’t forget sun protection. Your skin should look invigorated, smooth and bright. Tip: A facial is great for boosting skin. But it’s daily skin-care and the use of an excellent sun protection cream that rewards you in the long run.